Looking for something out of the ordinary for your next travel destination? Exotic destinations can take you to far flung areas of the globe, where you'll see and experience unique sights. Whether your pleasure is medieval towns, beaches, or a unique experience, taking an exotic vacation is sure to leave you with tales to tell. Full of lush flora, picturesque beaches, and hotels that pamper you endlessly, these exotic destinations are ideal for the traveler who wants spend her days working on her tan. 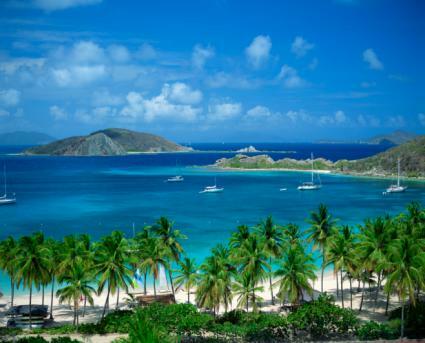 As far as exotic beaches go, Peter Island Resort & Spa would be hard to beat in terms of amenities and atmosphere. The private island resort boasts a formidable amount of amenities given its size, largely because it is a popular sailing port with people stopping in for lunch or a spa treatment on their way to a larger destination. However, don't let that fool you; staying here might possibly be the most relaxing vacation you've ever taken. Step out onto one of the five private beaches, take an afternoon for spa treatment, or partake in some of the island's fine dining. Should you happen to feel the need to do something more active than sunbathing, you can try non-motorized water sports (i.e., snorkeling, scuba diving or kayaking), all of which are complimentary. Accommodations: Prices vary depending on the time of the year (the cheapest time to go is between June 1 and October 31), but you can have yourself a lovely spa vacation with the Sea and Self Package, complete with a beachfront room and a spa session for a massage, body scrub, body wrap and mud bowl, for less than $5,000. The resort also offers packages for romantic getaways and babymooners. Choose from beachfront (where you literally walk out your door onto the beach) or ocean view rooms or rent a villa for the week. For an additional fee, the villas come with chef, butler and maid service. Getting There: You have to arrive at Tortola or St. Thomas, and get to the island either by water ferry, private yacht (arranged with the resort in advance), or helicopter. 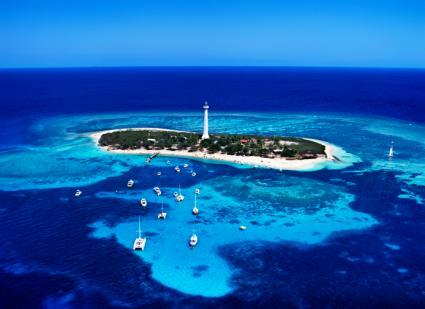 New Caledonia is a territory of France, located in the Pacific Islands, east of Australia. Here, Pacific Islander blends with French culture to create a unique and somewhat inspiring place to vacation. It's ideal for the traveler who wants to spend some time in island paradise, but doesn't want to be a beach bum the entire vacation. The largest city, Noumea, offers lots of specialty boutiques and world-class spas. If you're not up for going into town, rest assured that you can spend your days lazily basking in the sun on the beach of the world's largest lagoon. Shallow depths, tranquil water, and pristine beaches are said to make this a sun worshipper's paradise. Given the climate, it's best to visit the island in the fall, after the sauna-like summer heat, but before the rainy season. Accommodations: Stay at Le Lagon Hotel for convenience and luxury. It has Trip Advisor's certificate of excellence from 2012, and is located conveniently to a variety of attractions. Rooms vary from a studio to adjoining suites that can accommodate up to six people, with rates starting around $250 per night. (Note: You can change the currency and the language of the website in the top left and right corner respectively. Getting There: You can arrive in Noumea via cruise ship or air, and you should plan on at least a 30 minute taxi ride once you arrive. If your ideal exotic vacation includes breathtaking scenery and experiencing something entirely new and foreign, trek to South America. Arequipa City is located in the Southern Coastal region of Peru. It's an explorer's paradise, as it hosts a blending of mestizo and Spanish culture that makes the city quaint and unique; however, it's still large enough to offer many amenities. The city is surrounded by three volcanoes, which can be seen behind the white silla buildings that are prime examples of Spanish colonial architecture. The city boasts a bevy of museums and mansions to explore, however, not-to-be-missed is the Santa Catalina monastery, which is almost like a city within the city. Accommodations: For the full Arequipa experience, stay at Los Tambos. The highly-rated hotel prides itself on offering unique packages that allow its guests to really experience all that Arequipa has to offer. For example, for gastronomes, the hotel offers a package focused on tasting the local cuisine. For those who are wanting to explore the area a bit, the hotel will set you up with an itinerary and a bicycle. Rates vary depending on the time of year, but traveler's should note that Arequipa is warmer in the winter than in the summer. Getting There: Arequipa has its own airport making it easy to get there, but you'll likely have to stop in Lima or Cuzco first to transfer planes. If you are looking for natural beauty, Iguazu Falls is your next destination. Named one of the New Seven Wonders of the World, the falls lie on the Argentinean and Brazilian border. Visitors can see the falls via raft or helicopter ride, or they can walk on the specially built walkways around the Iguazu National Park. Visit in the spring or fall, as it's hot and humid in the summer and the water level drops low in the winter. Also, remember that if you want to visit both the Argentinean and Brazilian sides, you probably need a Visa to cross the border. You can take care of this the morning you plan to go. Accommodations in Brazil: In Brazil, stay at the Hotel das Cataratas. In addition to offering unparalleled access to the falls, the hotel has fine dining, spa amenities, and a variety of options to help tourists experience the falls. You can also book a package through the hotel to see the rest of Brazil if you plan on staying longer than a few days. 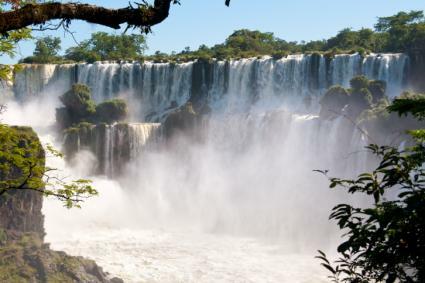 Accommodations in Argentina: In Argentina, stay at the Sheraton Iguazu. The hotel is located within Iguazu National Park, and consequently, makes it easy to experience the falls with hotel-arranged transportation and tours. The hotel offers a variety of amenities including a spa for adults and kids, and wireless access. Packages and rates may change seasonally, and using the hotel's on-site travel agency can make guests' visits to the falls much easier. Getting There: Get to Brazil or Argentina by flying into Foz do Iguaçu International Airport or Iguazu International Airport respectively, and take a taxi or hotel shuttle to your hotel. Note that if you do not stay at either the Sheraton Iguazu or the Hotel das Cataratas, getting to the falls is a lengthy bus or taxi ride. Asia is the quintessential exotic destination. Steeped in thousands of years of tradition and culture, Asian society is a fusion of old and new, and offers quite the treat to would-be travelers who venture there. 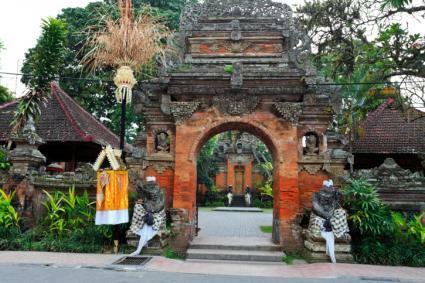 The book, and subsequent movie, Eat, Pray, Love made this eastern gem famous, but it has always been an art lover's paradise as the cultural center of Bali. In addition, it boasts unique sights, a bevy of spas, and architectural beauty that seems to both quench and inspire wanderlust. If art is what you seek, visit the Agung Rai Museum of Art. The museum not only boasts Southeast Asian artwork, but it also plays host to evening dance performances and has beautifully-manicured grounds. Visit one of the temples or the Monkey Forest for a unique taste of the culture. To unwind, pay a visit to your local spa - most hotels here have one - and enjoy a world-famous Balinese massage. Accommodations: Fodor's top pick is the Anhera Suite and Spa. Centrally located, it's easy to get to prominent sightseeing locations from the hotel. It has eight villas, each decorated and named after one of the major Indonesian islands. Anhera offers various packages, including one for honeymooners and even a package if you want to have a small intimate wedding at the resort. If those don't fit your needs, make sure you check out their spa packages that include full body treatments in an outdoor spa with spectacular views. Getting There: Fly into Bali, and use the Visa on Arrival service, which is by far the easiest and quickest way to obtain a Visa for your visit. Use the Ministry of Foreign Affairs to determine the best airport for your arrival. You can take a taxi to get to your hotel, but it is also acceptable to call your hotel and have them come pick you up. Nestled off the southern coast of Vietnam, lies an unexpected treasure trove of serenity. Once upon a time, the Con Dao islands housed prisons for political rejects and other undesirables. However, with the passage of time, the natural beauty has turned the islands into a quiet and beautiful tourist destination. While there, take your time touring the marine reserve, the beaches or the markets. Get a guide and take a hike through Con Dao National Forest (on the main island of Con Son), which will afford you a prime opportunity to watch some wildlife. If you snorkel, you may even get a glimpse of the dugong, a rare mammal related to the manatee that lives in Asian waters. Accommodations: While you're in Con Dao, stay at the Six Senses. This resort/spa chain prides themselves on finding remote, yet accessible places and offering unique opportunities that coexist with the surrounding area. As of this writing (January 2014), it is the only five-star hotel or resort in the Con Dao Islands, and the other options have a notable lack of amenities for those looking for luxury. The hotel offers a variety of experiences that vary from season to season. Rates vary by season and the type of experience you want, so it's best to book through the site directly. Getting There: The islands are relatively isolated, so it is a bit of a trek to get to them. Consequently, it is advisable to book your flight through a travel agent to ensure that your trip is as easy as possible. Many dream of a European vacation in the major centers of European culture such as Paris or London. However, if you're willing to trot off the beaten path, Europe offers delightful experiences for the traveler seeking a little exotic exposure. While most people think to go to the capital city of Reykjavik, the Blue Lagoon in Grindevak, Iceland is well-worth the trek to this northern country. While it's not exactly the fountain of youth, local legend insists that the waters have healing powers when it comes to skin ailments. While there, you can have a massage (in the water), enjoy the saunas, slather yourself in silicone mud to help improve your skin, or enjoy the many sections of the thermal pool. If you get tired of living it up on spa treatments, take the trek into Reykjavik and enjoy all that the city has to offer. Accommodations: The closest hotel is the Blue Lagoon Clinic, and is the best choice for staying near the lagoon. Admission to the Blue Lagoon comes free with your stay, and in addition, the hotel has its own private lagoon just for its for guests. Rates and packages vary by season and depending on occupancy. Getting There: This location is not nearly as difficult to get to as many other exotic destinations. After flying into Reykjavik, take a taxi to the hotel. The drive is about 45 minutes. Nestled in the Bavarian Alps sits Mittenwald, Germany, a breathtaking town where tourists can explore the charming village that still bears resemblance to the medieval trading route hub it once was. Mittenwald would be a photographer's dream, but you don't have to be a photog to appreciate the beauty of being surrounded by the Bavarian Alps. In addition to frequenting the market square, make a point to visit Leutaschklamm Gorge. You can drive your car near the entrance and pay to walk on the bridge that's near the waterfall. Music aficionados must visit the Geigenbaumuseum, or, violin-making museum to see why Mittenwald is known as the City of One Thousand Violins. Accommodations: There are a few places in and near Mittenwald where you could stay and be quite content, but to get a unique Bavarian experience, try the Hotel Garni Edlhuber. More of a bed and breakfast than a hotel, the Edlhuber offers guests a full breakfast as well as charming packages that include admission to a few highlights of the city. 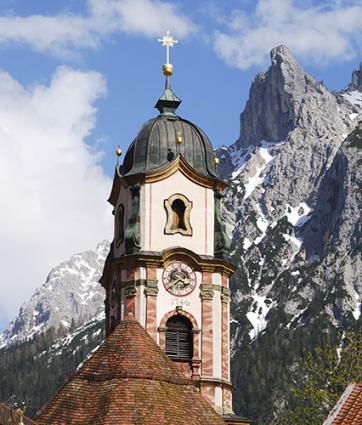 Getting There: Once you arrive in Munich, it is a two hour train ride to Mittenwald. While they might be a little harder to get to than some other places, taking a vacation to these exotic and unusual destinations is a great way to see the earth. If the idea of booking scares you off a little, try working with a travel agent that specializes in exotic vacations, like Tripmakers of Houston. Agencies like these can handle all of your transportation and accommodation needs, as well as other arrangements, so you're left with nothing to do but pack your bags and enjoy your locale.